Thank you for visiting my world of Antique Jewelry. I am a professional and knowledgeable Antique Seller. I have been growing my business since the 1990’s and I go all over the world to find the rare pieces that I bring to you. I was born and grew up in Cape Town, South Africa, one of the most beautiful areas of the world. Surrounded by sea, mountains and the richest ecosystem of flora, how could I resist developing an eye for beauty, color and variety? The unpretentious life-style of the true Capetonian gels with a love of fine, understated elegance. My quest and interest on who owned these jewelry pieces before us? Where and how did they live? How were the pieces passed down and moved from person to person and place to place? To me, antiques serve as a physical link between our world and that of long ago and while their personal stories are a fascinating challenge to our imaginations, I marvel and wonder at their survival over the centuries. I truly believe that it is a tremendous privilege for me to own, albeit temporarily, these items of great workmanship and quality and it is our responsibility to ensure that they go down safely to the generations that follow us. Jewelry is a form of art. It is art used as personal adornment. 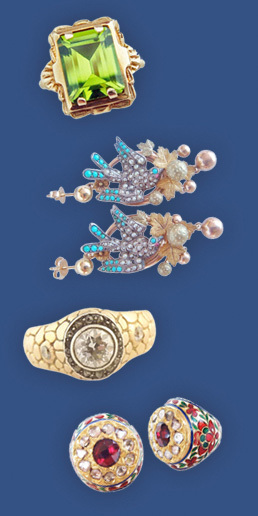 On this site, you will find unique and rare jewelry of the best quality. You will get excellent value for money and great customer service. My aim is to give every customer a wonderful experience when searching for jewelry. Every step of the way, we are here to help you. 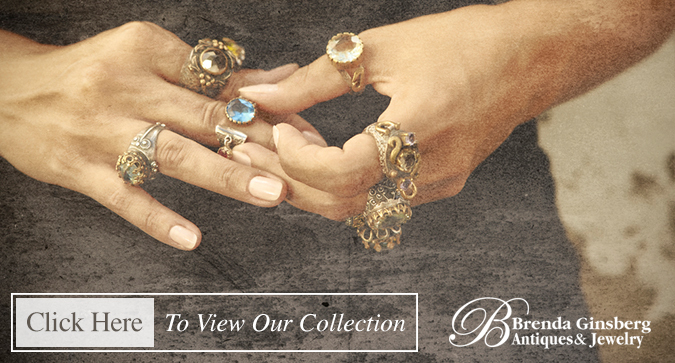 From choosing to receiving your jewelry, I want you to be delighted with the experience.